Fresno, CA- Trail-Gear, Inc. added to their vast product line with the addition of five new kits Friday, November 16th. Trail-Gear is now offering fully assembled front and rear axles, in addition to expanding their Power Pack line to include applications for 1988-1995 Toyota Hilux and 4Runner models and Creeper Lock™ line to include applications for hub-centric vehicles. The Trail-Gear Fully Built Front and Rear Rock Assault™ Axles are made entirely of brand new and upgraded components not refurbished junkyard parts. Both axles feature Trail-Gear’s renowned Rock Assault™ Axle Housings. Rock Assault™ Housings provide unparalleled strength due to the 5/16” thick, DOM axle tubes that engage further into the center section and the 360° gusset welded around the tubes on the inside of the housing. The positions of the axle tubes and center section design have been specially engineered to allow for additional ground clearance. The Trail-Gear Fully Built Rock Assault™ Front Axles include everything drivers need hub-to hub, plus a precision installed tie rod and drag link. It includes the Rock Assault™ Axle housing and comes with upgraded 30-Spline Birfields and Chromoly Axle Shafts, Trail-Gear’s Fully Loaded Six-Shooter Knuckle Kit, Chromoly Spindles, upgraded Brake Rotors and Calipers plus the heavy-duty tie rod and drag link, all expertly assembled by Trail-Gear’s Master Mechanics. Each Fully Built Rock Assault™ Front Axle will include Trail-Gear’s upgraded Trail Safe™ Seals and Super Metal Knuckle Studs in addition to all other necessary nuts, bolts and seals. Consumers have options to customize the axle with the choice of axle width and offset, differential, hubs or flanges and whether to include an optional Trunnion Bearing Eliminator kit. The Trail-Gear Fully Built Rock Assault™ Rear Axle includes Trail-Gear’s complete Rear Disc Brake Kit, Chromoly Axle Shafts, Bearing Pockets, Rear Axle Bearing Service Kit and all the necessary nuts and studs. It is also fully assembled by the Trail-Gear Master Mechanics according to customer specifications. Both the front and rear fully built axles are intended for vehicles with Leaf Spring applications only. Persons interested in these kits for 3-link or 4-link applications, can purchase all components for self-assembly. Trail-Gear expanded their Power Pack offerings with two additional kits to include applications for Toyota Hilux models with the 22RE engines built from 1988 through 1995. 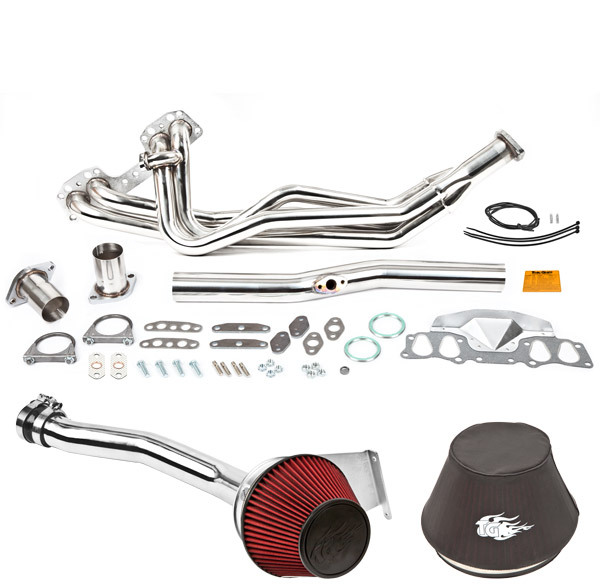 The Power Pack includes the Trail-Gear Extreme Air intake, Header and Pre-Filter. It can increase engine performance up to 10 horsepower. The Trail-Gear Power Pack passes smog requirements in California which makes it legal in all 50 states. The final product just released expands their Creeper Lock™ line. Now drivers can run Trail-Gear’s Creeper Locks™ on hub-centric vehicles, like the FJ Cruiser and newer Tacomas, with the addition of a set of acorn lug nuts. 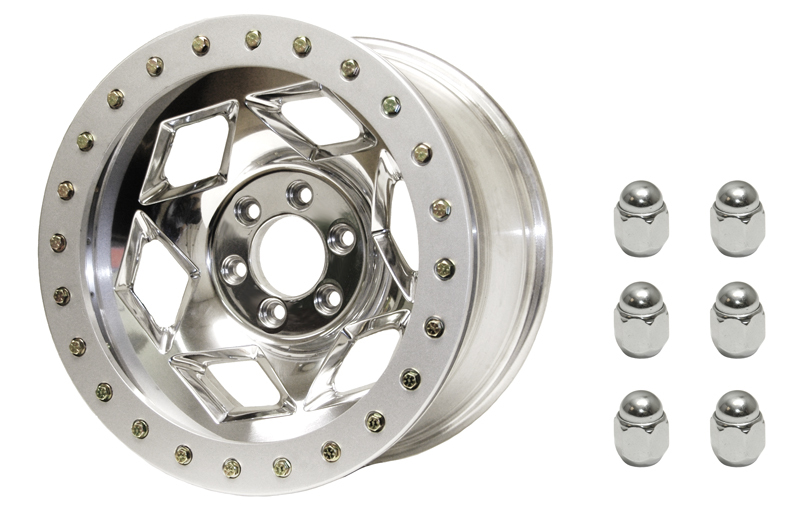 Creeper Locks™ are 17″ X 9″ heavy duty aluminum wheels with a backspacing of 3.75″. Each wheel weighs 45 lbs with locking ring and hardware and features a wheel rating of 2,800 lbs. The wheels are cast with the inner beadlock as part of the wheel. All 24 of the bolt holes on the wheel have steel Time-Serts® installed to prevent the bolts from galling. A drop down inner lip centers tire on to wheel during mounting. Creeper Locks™ have been thoroughly tested on all Trail-Gear test and competition vehicles on some of the world’s harshest courses. Customers can choose either Polished Aluminum or Anodized Burnt Orange Beadlock Ring made of Aircraft grade 6061 T6 billet aluminum. Interested parties may purchase these or any Trail-Gear products from any authorized dealer or via the website www.trail-gear.com. The Rock Assault™ Fully Built Axles start at $2,068 and increase according to options. The Trail-Gear Power Packs retail for $551.66 and the Creeper Locks™ retail for $378.50 for Polished Aluminum Beadlock Rings and $398.50 for Anondized Orange Beadlock Rings on the Trail-Gear website. Trail-Gear, Inc. is an industry leader in quality off-road product design and manufacturing. All design and development for all Trail-Gear products is done at the Trail-Gear World Headquarters in Fresno, California.